While on a North America tour promote his new book, The Punishment of Gaza renowned Israeli journalist Gideon Levy spoke in Canada. The Real News' Lia Tarachansky caught up with him in Toronto to ask him about the expiration of the so-called settlement construction freeze, or moratorium, and the lull in the peace talks between Israeli prime minister Benjamin Netanyahu and Palestinian Authority president Mahmoud Abbas. According to David Makovsky of the Washington Institute on Near East Policy, Obama sent Netanyahu a letter offering him major concessions if the Israeli prime minister extends the settlement construction freeze past the US midterm elections. 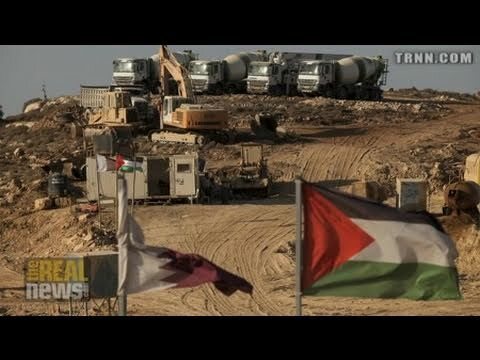 One concession Obama supposedly offered Netanyahu is the long-term stay of Israeli troops on the soil of the future Palestinian state in the Jordan Valley, a region central in the fight for water and land. However, both Netanyahu and Abbas refused to take a position, passing the ball into the court of the Arab League which in turn postponed taking a position until after the US elections. LIA TARACHANSKY, PRODUCER, TRNN: With the US midterm elections around the corner, President Barack Obama’s big test in his Middle East peace process efforts is now being played out. In September, the 10 months of so-called construction moratorium expired. Its ending halted the recently restarted talks between Israel and the Palestinian Authority and led to the ball being thrown around among the parties. Obama spoke about the settlement construction at the UN. BARACK OBAMA, US PRESIDENT: And our position on this issue is well known. We believe that the moratorium should be extended. We also believe that talks should press on until completed. TARACHANSKY: Thousands of settlers took to the streets to lay the foundations for new construction. Three hundred and fifty new housing units are already being built, with at least 2,000 being planned according to the Settlement Watch project. When the negotiations began, Hamas gunmen killed four Hebron settlers. On Friday, the Israeli army assassinated two Palestinian men it claims were responsible for this attack. The Israeli Air Force also bombed Gaza on Thursday, injuring five Palestinians. With the construction freeze over and violence continuing in the region, the ongoing negotiations seem uncertain. The Israeli prime minister, Benjamin Netanyahu, claims he cannot renew the construction freeze because of obligations to his coalition. But the further annexation of Palestinian territories was previously rejected by PA President Mahmoud Abbas when he said that he will quit negotiations if the freeze expires. Settlements are only one of several central issues to be agreed upon if the negotiations become serious. Other issues include the future of Jerusalem and the status of Palestinian refugees who aren’t allowed to return. GHEITH AL-OMARI, AMERICAN TASK FORCE ON PALESTINE: I simply cannot imagine other side coming to the US president, to President Obama, and saying, here, we’re handing you a failure in this process one month into the process. It’s unthinkable, inconceivable at the moment. TARACHANSKY: On September 29, David Makovsky of the Washington Institute on Near East Policy broke the story that Obama apparently sent a letter to Netanyahu. In this letter, it becomes clear Obama is not going to pursue an end to Israeli colonization of the West Bank. Instead, the president allegedly promised Netanyahu that the US will continue to unilaterally veto any motion that’s critical of Israel in the UN Security Council and will commit to more military equipment if he extends the so-called freeze by only two more months. If Netanyahu agrees, this will postpone the settlement question until after the US midterm elections. To push forward, Obama supposedly offered Netanyahu a vital concession: keeping Israeli forces in at least a third of the future Palestinian state, in the West Bank region known as the Jordan Valley. This means that if a sovereign Palestinian state with the Palestinian Authority as government is to be declared in the West Bank, Israeli soldiers will remain on its eastern border with Jordan. In the 1990s Oslo Accords, the Jordan Valley was labeled Area C and placed under the jurisdiction of the Israeli army, allowing the establishment of nearly 40 settlements. It is central in the fight for water and land, because it is highly fertile and holds a third of the water resources of the West Bank. Population-wise, Palestinians outnumber Israeli settlers here six to one, but they’re not allowed to drill for water, having to rely on purchasing privatized water drilled by Israel from underground aquifers below their very land. Israeli Prime Minister Benjamin Netanyahu argues that soldiers must remain there to prevent potential arms smuggling from Jordan. Jordan signed a peace treaty with Israel in 1994. While on a book tour of Europe and North America, renowned Israeli journalist Gideon Levy spoke at various cities. In our last interview with the notoriously pessimistic Levy, he said the peace process is a joke. 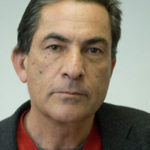 GIDEON LEVY, JOURNALIST, HAARETZ: I don’t know if it’s time to lose hope, but we are getting very close to it. The alternative to the two-state solution is the one-state solution, which is not a good solution for the Palestinians, mainly for the Palestinians, because there is a big gap between the two societies. TARACHANSKY: The Real News caught up with Levy during his tour, in Toronto, Canada. LEVY: When President Obama was elected, I really had, me personally, tears in my eyes when he held the speech in Chicago, and I was truly believing that we are facing a real change in the Middle East in the American policy. We are getting now to a new stage in the longest peace process in history, and the most important one, to another scene in this masquerade which is called peace talks. Well, practically, and if we are honest, there’s almost nothing to negotiate any more, negotiating with the representative of half the Palestinian people about half the occupied territories. Gaza is excluded. Hamas is excluded. MAHMOUD ABBAS, PALESTINIAN AUTHORITY PRESIDENT (VOICEOVER TRANSLATION): We agreed when we met in New York with the foreign ministers that the Arab follow-up committee would hold a meeting on October 4. After all these meetings, we may be able to issue a statement which clarifies Arab opinion on this matter. TARACHANSKY: Abbas’s failure to take a stand was mirrored by the Israeli side. Reports rumored that on Tuesday the Israeli prime minister would ask his ministers what they thought of extending the freeze by two months. But only a week after his main political rival, Foreign Minister Avigdor Lieberman, challenged him at the UN, Netanyahu decided to keep quiet and deflect responsibility by also passing the ball to the Arab League. AVIGDOR LIEBERMAN, ISRAELI FOREIGN MINISTER: During the nine months, the Palestinians wasted time and completely refused to accept this gesture, and accused Israel that it’s a fraud, it’s not serious. LEVY: An Israeli prime minister who dares to argue about the minimal, minimal, minimal step of freezing the constructions in the West Bank is a prime minister who does not have the slightest serious intention to put an end to the occupation, because you don’t build if you want to evacuate. LEVY: The good thing, the good news is that anyhow, there are very low expectations from those talks now, so the lower the expectations are, the lower will be also the disappointment. This is a good thing that must be said. While in 2000, the expectations were—I mean, the sky was the limit, and then was also the disappointment, because there were such high expectations. Today neither the Palestinian people nor the Israeli people, nobody really takes it seriously, this whole masquerade. TARACHANSKY: And just like the other parties, the Arab League threw the ball back into the US court. Its follow-up committee on the peace process decided to wait a month, until after the US midterm elections, before meeting again. Then, Arab foreign ministers said, they will discuss a potential alternative to the peace process.